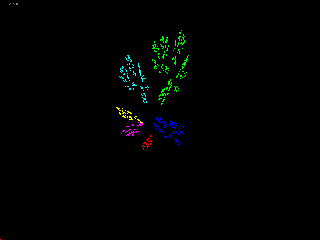 Morphing IFS Screen Saver - screen saver application, displaying permanent process of morphing between by a chance selectable IFS fractals. 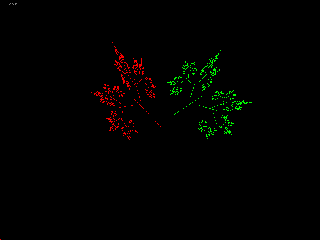 "t" - parameter, indicate time of inaction of user in seconds, which the screen saver will be started after. 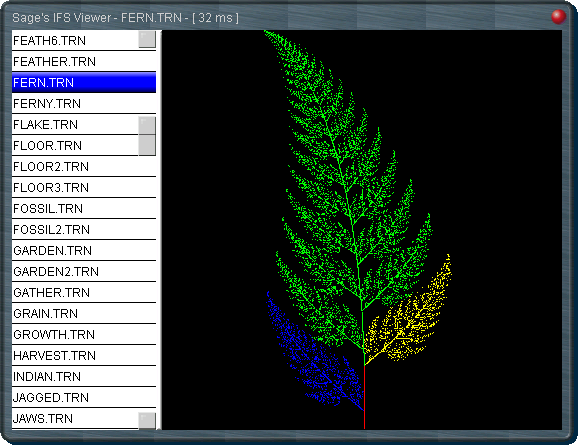 IFS Viewer allows to watch the images of fractals, got on a basis of Iterated Functions System (IFS) . 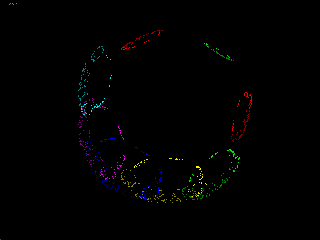 There are coefficients more than 200 IFS fractals in program database, 7 from which 3-th measured. 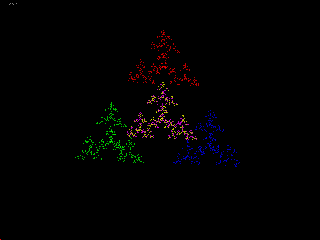 Majority of IFS fractals is taken from the Fractal Designer submitted to the public domain by Doug Nelson . 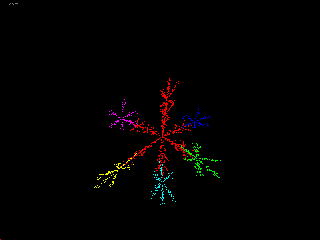 At the choice of each new fractal from a list is made morphing  between it and previous fractal.